Labour MP Dennis Skinner talks to Jeremy Vine about dementia, discussing how he believes music can help battle the disease. In 'Dennis Skinner vs Dementia' presenter Jeremy Vine sees a side of the 'Beast of Bolsover' which is very rarely seen - or should that be heard? 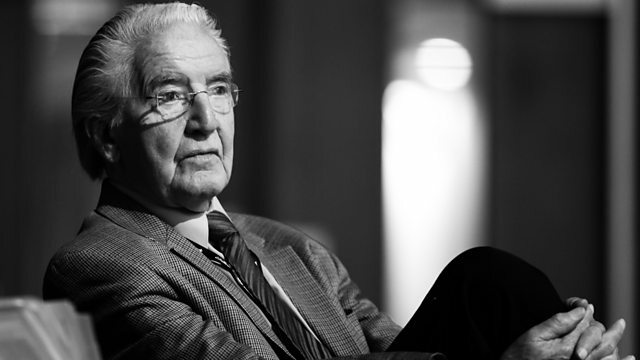 It all started when legendary MP Dennis Skinner's mother developed dementia in the late 1980s. Sadly, she soon began to lose a large amount of her memory. Dennis hatched a plan. Aware that she loved music and often sang while completing her household chores, he took her to a field where he used to play in as a child and began to sing to her. Within a few seconds she joined in and for half an hour they went through the full repertoire of songs she sang when she was a young woman. For those thirty minutes or so Dennis had his mum back with him as they sang tunes by Gracie Fields, Vera Lynn and songs from the great musicals. When his sister also started to suffer with dementia he tried the same thing, with the same heart-warming results. Dennis is worried he too might succumb to the disease, so as well as indulging in singing, he has a routine to keep his mind alert. He regularly takes time out to do the 'killer' Sudoku in the papers. Plus, as is witnessed nearly every week, his forensic knowledge of Parliamentary procedure keeps his brain and the Hansard reporters busy. A TBI Media Production for BBC Radio 2. Dennis sings with dementia patients at The Shirevale Resource Centre, Shirebrook. A focus on dementia with radio, television & digital content throughout the month of May.